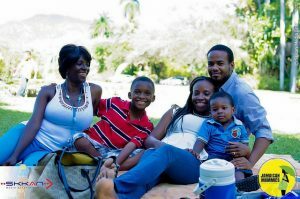 Jamaican Mommies Picnic promises day of play for entire family! When was the last time you truly played? with your child? or the family? This Mother’s Day, local parenting network Jamaican Mommies is on a mission to remind and re-encourage families to play together via its Mother’s Day Picnic. Set for Sunday, May 13, 2018 (Mother’s Day), the event is being labelled an authentic day of play and sets out to share fun family activities that can be used throughout the year to bring families closer together. According to Shanoy Coombs, founder-editor of the Jamaican Mommies network and picnic conceptualizer, the concept was informed by parents who complain of always being “too busy”. “When you ask the average parent in the Jamaican Mommies network what their biggest challenge is, many will say it is limited time, or being too tired, too hurried, too busy” she said. “The reality is that with changing dynamics in the labour force and more single parent households “too busy” continues to be a cry. However, while parents have supposedly forgotten how to play, children have not. Our aim for this picnic then is to help families achieve the balance of work and play time by reminding them of the joys of playing together”. Coombs noted. To achieve this goal, the Jamaican Mommies Picnic will feature fun family challenges which require team work and some coordination, other activities will test endurance and still others will touch on how much adults remember about childhood games. Essentially, the day will feature a fun lineup of activities for every member of the family. No age limits! For those who just want to enjoy a relaxing Mothers Day, there will also be a relaxation lounge with soothing music from the Whole Note Mento Band, massage stations mommy and me makeovers, mini facials, a Toddler Care Lounge and so much more. “It’s Mother’s Day after all, we want everyone who comes to have fun. Men are being encouraged to take their moms, spouse and child’s mother along for a treat.. Take a Picnic blanket and some cash, there will be lots of interesting vendors so you can get food and even the perfect mother’s day gift right on location” Coombs said. 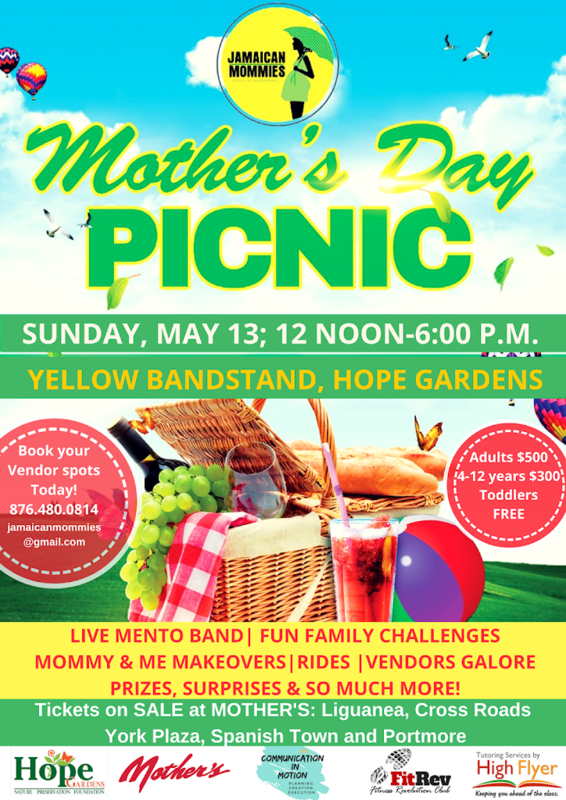 The Jamaican Mommies Mother’s Day Picnic runs 12 noon to 6:00 p.m and is sponsored by Hope Gardens, Mother’s: The Great Jamaican Patty Company and a host of partners.